Okaay I know it's been a very long time since I posted! Let's get back into the swing by kickstarting with my favorite long jacket of all time. I've actually wore this towards the end of winter and well through spring because everyone knows that San Francisco can get chilly at night and even during the day with the wind (layers, layers!). 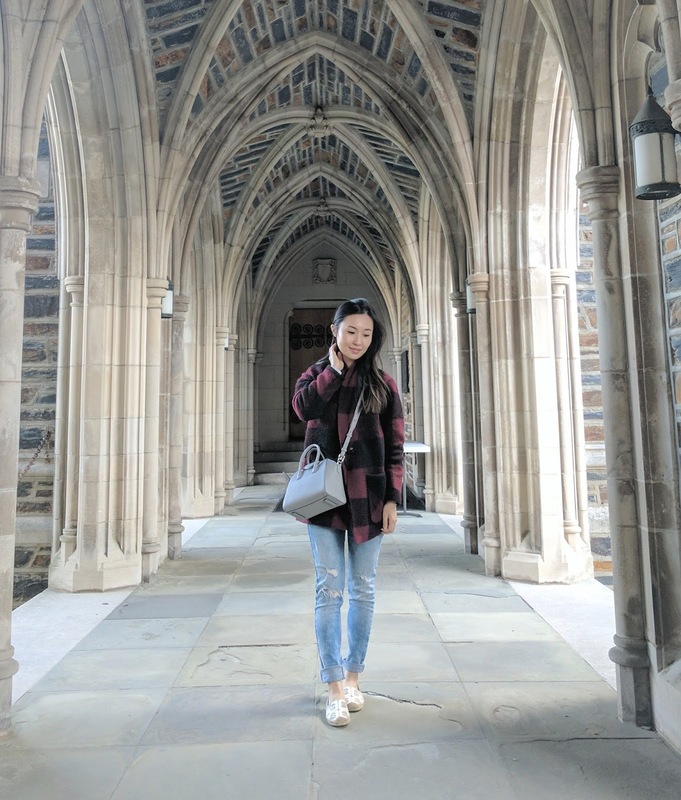 I wore it to my trip to North Carolina during spring and it was thin enough that I didn't feel stuffy yet warm enough to withstand the drop in degrees at night. Worth noting that after more than 6 months still being new in box, I finally unleashed my Givenchy mini Antigonia in pearl grey! I will post more details about it so stay tuned for a post about my luxury handbags haul in Paris. I know it's been long overdue! The Wilfred Neelam jacket was purchased from Aritzia (here) when it was on sale! Unfortunately, it's not on sale anymore (they have a massive sale on other items right now) and despite that it was still pricey during the sale, I feel it's so important to just spend a bit more on outerwear because it will last you a long time withstanding through mother nature and everyday life! Hey everyone! I know it's been so so long since I've posted, but I'm back and can't wait to share snippets of my trip to Thailand! Knowing that I would visit some temples and that they had a certain dress code of covering the shoulders and legs, I found that a jumpsuit would be the perfect fit. I've worn so many jumpsuits over the years and felt it's such a timeless, chic and comfy look that would spice up any wardrobe. 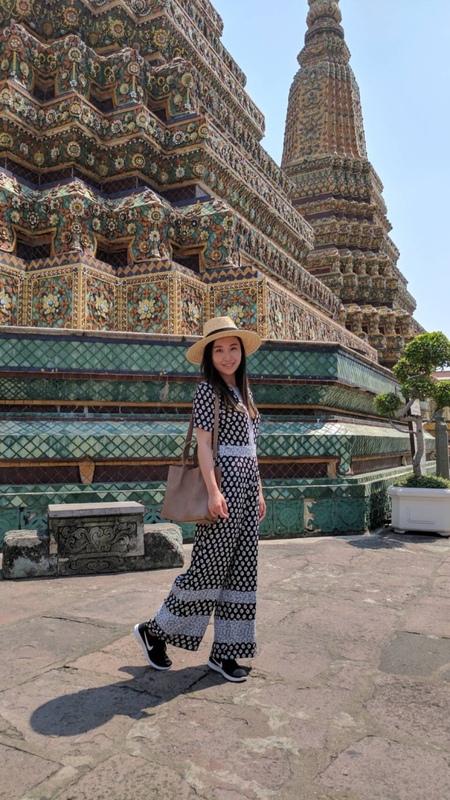 I went for this flowery flare jumpsuit because the temples in Thailand are so extravagant and colorful, I wanted a pattern to match that. I've been wearing my Nike free sneakers on heavy rotation because they're just so comfortable. I walked a lot in Thailand and it really helped with keeping my energy up since my feet weren't as tired. I realize it also gives a sporty chic look that I'm starting to appreciate more. Even on lazy days when I don't feel like dressing up, these sneakers really goes great with a pair of tights. I love how it gives off a street wear look that's effortless chic.